Our Stairiser inclined platform lifts are an ideal access solution if your building cannot accommodate a vertical lift, carrying one person safely over a straight or curved stairway, seated in a wheelchair or on the seat provided on the lift. When the wheelchair platform stairlift is not in use it folds neatly away to leave the stairway free for pedestrian use – ideal for a busy building where space is at a premium. 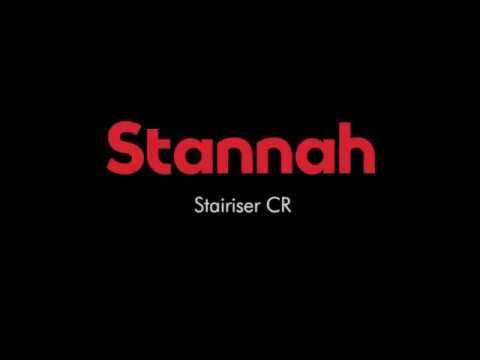 The Stairiser SR is designed to run on a straight rail over a single straight flight of stairs. The unit folds flat against the rail when not in use. The Stairiser CR is designed for use on a curved rail, making it suitable for any run of stairs with a single turn, multiple landings or spiral configuration. Download our Stairiser product brochure for full details and finishes information. For more technical information such as data sheets and CAD blocks visit our Technical Area.